Cataracts are a common eye condition among those of us who are older. Age related cataracts are the most frequently occurring form of the condition, though being exposed to toxic substances, medication and medical conditions can all be causative factors. You can also be born with it. Cataracts cause our natural eye lens to become misty, impairing our vision. This visual impairment can be stressful and debilitating. If you have noticed your vision has become cloudy, it is possible you are suffering with a cataract. You should visit your optometrist for confirmation. A cataract in the eye impacts on various aspects of our lives. Things that we took for granted such as driving, reading and watching television can be hampered to the point where we cannot enjoy them and, in some cases, are dangerous. Receiving treatment should, therefore, be a priority. The next step is to call AVC on 020 7935 7497 to book a consultation regarding your suitability for cataract surgery. The only viable way to treat cataracts is to undergo surgery. Cataract surgery using the intraocular Lens Replacement procedure (IOL), replaces your cloudy, misty lens with a bio-compatible lens implant. This allows the light rays which have been blocked by the cataract to reach the retina and subsequently restore your vision. Cataract treatment is suitable for anyone aged 45 years or over. Unlike most surgery, cataract surgery is relatively straightforward following diagnosis. You have an assessment and suitability consultation with one of our expert eye surgeons: Our surgeons are respected among their peer group and have developed revolutionary eye surgical procedures in their own right. Once your cataract condition has been confirmed, your suitability for lens replacement – and which type – is assessed. The personalised and detailed assessment you will undergo prior to your cataract surgery allows us to decide on the type of intraocular lens that is most suitable for your lifestyle – customised to meet your very personal requirements. Our surgical recommendation is always explained clearly in full so you will have total confidence that the treatment is suitable for you. Multifocal lenses are often the best choice as they improve distance and near vision. Many patients have described this as turning the clock back for eyesight. Multifocal lenses are not always suitable however, in which case a monofocal lenses will be recommended. Monofocal lenses allow us to see objects in the distance. Should you require or opt for monofocal lenses, you will require glasses for close to work. Nonetheless, you will be free of cataracts and have mist free vision. Anaesthetic eye drops are used to numb your eye. This avoids the need for needles and injections. 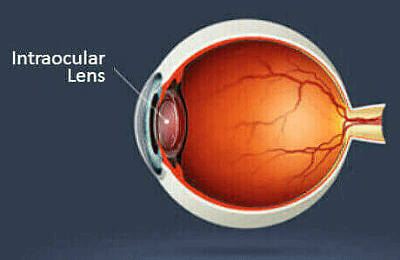 Your lens is replaced with one of the lens implants outlined above. This takes around 30 minutes to do. Following a check up the next day you can leave the clinic. You return two weeks later to have your other eye treated if needed. Following various check-ups, each eye will take around three weeks to heal completely. If you would like to find out more about private cataract treatment at Advanced Vision Care and how it can transform your life like it has for Sally and Marilyn, then why not call AVC TODAY on 0800 652 4878 and request your free information pack or book your consultation to find out how we can help you. We pride ourselves in our no-nonsense approach and take the time to answer your questions and go through the procedure thoroughly. Our surgeons are the finest in the world and we can restore your quality of life in the blink of an eye.